A lot of the idea of American capitalist culture comes from a focus on the individual rather than the group. After all, at the core of the “American Dream” is the idea that “hard work will make you successful” and “pursue your dreams and make them realities”. Now, don’t get the wrong idea, there’s nothing wrong with that, but a sole focus on self can have negative side effects. 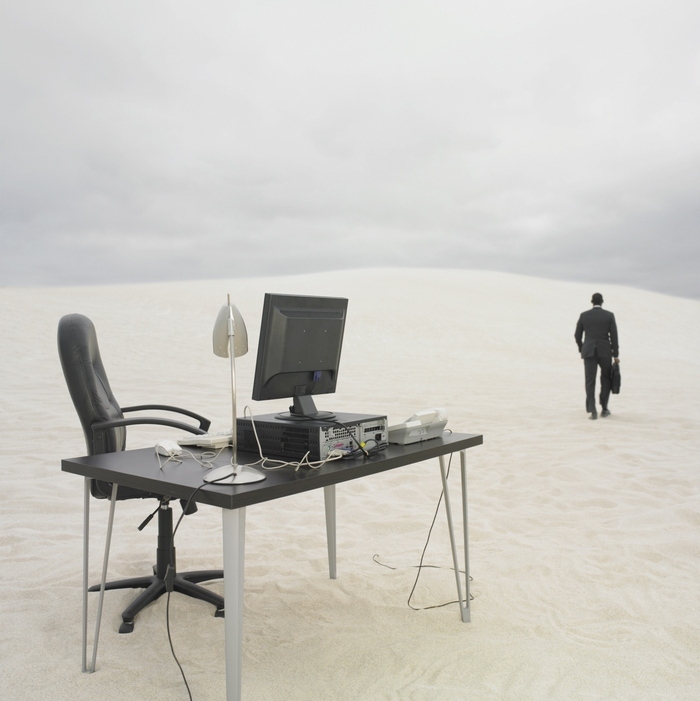 Recently, we’ve seen a shift away from the “individual” in the workplace being replaced by the “group”. While this has always been present in our economy and workplaces to some extent, there now seems to be a massive push toward it we’ve never experienced before. Small businesses need to focus on improving collaboration in the workplace and taking the necessary steps to build the most effective teams. Well, a lot has. American business has had an ever increasing reliance on technology and when internet came onto the scene, even more so. These technological advances make it possible for businesses to innovate, grow, and develop faster and more efficiently. However, that also means that the methods to achieve and complete tasks also need to change with it. As the saying goes,” If you want something you’ve never had, you need to be willing to do what you’ve never done”. 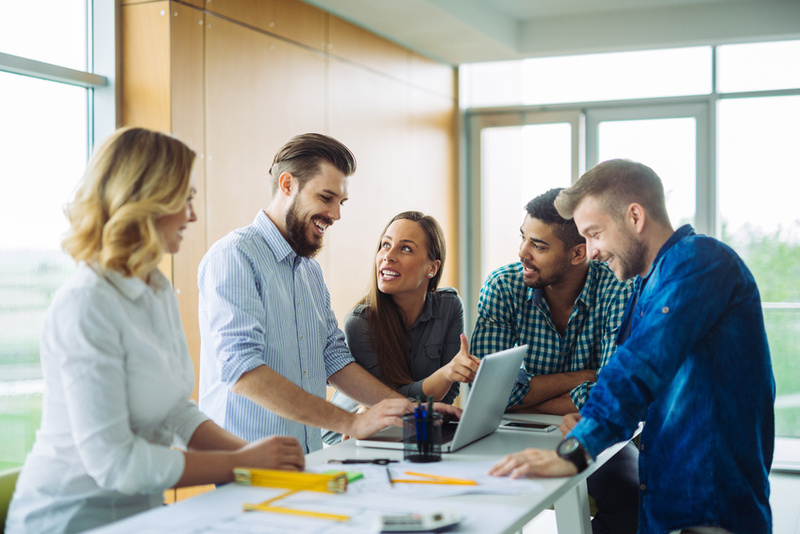 A move toward and reliance on group work in the office is just another change in the business world which will allow for faster and better results. Research has found that work is completed faster and better using collaborative methods rather than relying on one singular individual to complete the task. 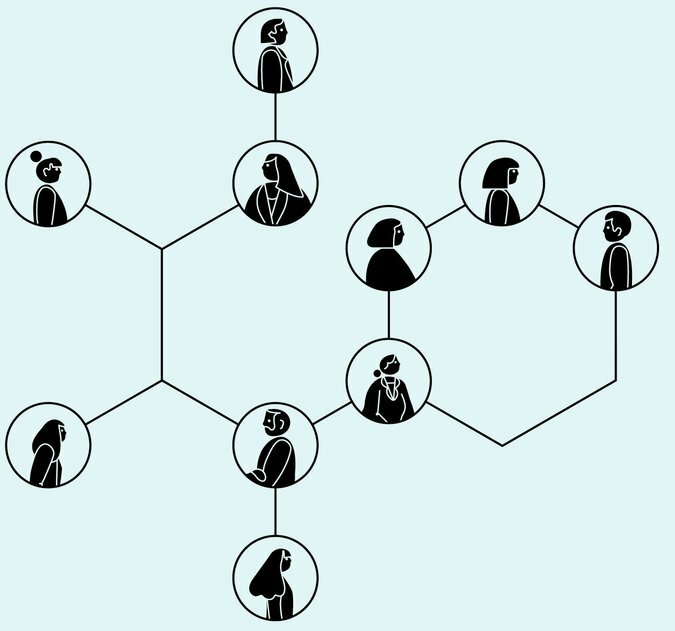 Group work is changing the hierarchy of the office. According to PGI, 88% of Millennials prefer collaboration over competition. Group work allows more people to operate on the same level, without difference in titles or ranking. While there obviously needs to be clear leadership, there is generally less of a divide in teamwork activities. Instead of only going to the group leader, members should also go to other co-workers to present ideas and give/get feedback. Every team members needs to be “in the know” for the group to function optimally. The better and more efficiently information is shared to the whole group, the better the information can utilized, improving collaboration in the workplace. A Google research study (Project Aristotle, 2012) set out to discover what made particular work teams successful. The research came back with main two norms: one, equal conversation input by all team members and two, social awareness of the an individual’s emotions. When everyone in the group feels heard and respected by their peers, individuals are more willing to work better together. When individuals consider themselves on the same plane, they’re more likely to openly and actively share new ideas, debate suggestions constructively, and build personable relationships with their co-workers. Successful teams make a point to work with all members of the team, but also bring in external ideas as well. Diversity is the key to successful group work, so including different co-workers from many different areas will increase fresh ideas and productivity. The same PGI report shows that when co-workers include a wide variety of individuals in their teams there’s a 35% increase in innovation and creativity. Think about it, the more people you include, the more resources you have at your disposal. Each individual has certain skills, knowledge, and experiences they bring to the (literal) table, and when you combine all those individuals into one team, the options are endless! No two people think exactly alike or process information the same way. Use this to your advantage to discover new perspectives and ideas about the problem you’re trying to solve or the product you want to create! Collaboration will many times bring to light possible pitfalls you may not have considered on your own or revolutionary ideas that have yet to be fully explored. Our economy is in a global age and whether you’re a Fortune 500 company with offices all over the world, or you’re a small business shipping to customers out of state, you’re reach has grown, which means your workload has as well. A more demanding workload means you need more people to accomplish a task; hence, the formation of teams. Many employers search for the best methods to form efficient groups. At a former job I had, my manager gave me a personality test to help determine where I’d best fit and what tasks would be better suited for me. Regardless of how you choose to do it, every group needs to be formed of individuals who have differing skill sets. 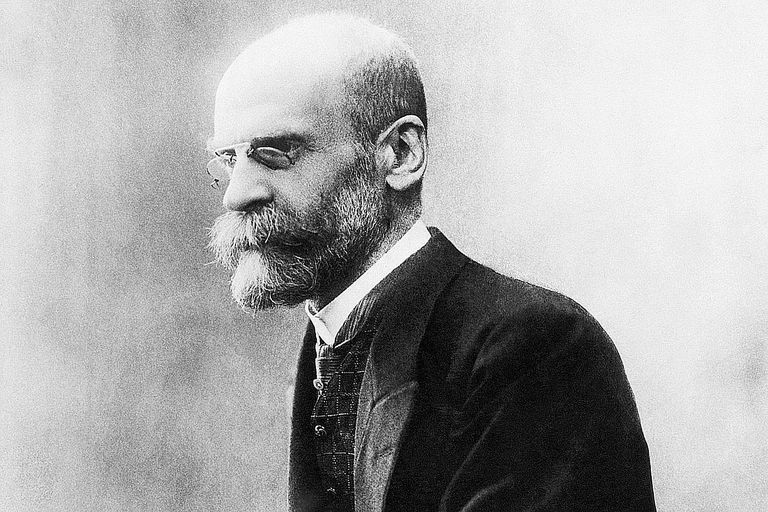 French Sociologist Emile Durkheim is credited as the “Father of Functionalism” and is also cited as a founder of his discipline. His research focuses on how each individual part comes together to create a stable whole. While Durkheim’s functionalist theory may have been originally used as a lens to view society, it can also be applied to business culture. At first, if may be difficult for say a creative employee to work well with an ordered and regimented employee, but if each is given the ability to voice their perspectives, they can focus on their strength rather than their differences. Functionalism gives importance to each part of the process in the overall completion of the goal. If one part of the system breaks down, the success of the whole project is compromised. It’s vitally important that your team functions as individuals unified by the same goal. Thankfully, we have several technological resources aimed at improving collaboration in the workplace. For starters, the Cloud is a great way to easily access documents across various devices in any location, by anyone who is cleared for access. The Cloud does protect information by encrypting it, so not anyone can access it. Cloud technology is available for Apple and other products, so anyone can use it. Google also does a great job at providing connective tech, with no cost to you. All you need to do is set up a Google account to be able to use Gmail, Drive, Hangouts, and more. At Cazbah, we use Google to sync our calendars, IM in the office, and share documents to each other for editing and writing. Being able to do all that work electronically saves time and energy. Perhaps the greatest attribute of collaboration technology is that you don’t have to be in the same geographical location to work together anymore. Of course, it should be a priority to meet face to face, but in the event that some team members are traveling or out of the office, progress don’t need to come to a screeching halt. In fact, there’s a growing trend toward non-traditional office locations, so being able to keep in touch is a top priority of many businesses and co-workers. And, people are starting to take notice of it’s advantage on a major scale. In only the past four years, the collaboration tech market has risen from $21.7 billion in 2014 to $33. 8 billion in 2018! Collaboration is more than just a trend. People are seeing the positive results from it, and I think it’s safe to assume it’s here to stay. The benefits of group work in the office can’t be disputed. More and more employers and employees are seeing the success of collaboration in the workplace with faster task completion rates and the accessibility of collaboration tech. Group work harnesses the available resources of several individuals to produce the best and most efficient work in the workplace.